Gagnon, Annie Joan. "Phil Comeau". The Canadian Encyclopedia, 27 August 2017, Historica Canada. https://www.thecanadianencyclopedia.ca/en/article/phil-comeau. Accessed 25 April 2019. Phil Comeau, CM, ONB, film director, screenwriter and producer (born 1956 in Saulnierville, Nova Scotia). This Acadian director’s films have received over 55 awards in Canada and abroad. They address subjects such as youth, human relationships, art, history and Acadian identity. His film Le secret de Jérôme (1994) garnered some 15 awards and is regarded as the first independent Acadian feature film produced in Canada. Comeau’s 2016 documentary feature Zachary Richard, toujours batailleur/Zachary Richard, Cajun Heart received the La Vague Léonard-Forest Award and the Audience Choice Award at the FICFA international francophone film festival in Moncton, New Brunswick and the Director’s Choice Award - Documentary Feature at the Cinema on the Bayou Film Festival in Lafayette, Louisiana. Born in the Acadian community of Baie Sainte-Marie, Nova Scotia, Phil Comeau was an innately curious child. At age 9, he went to see the movie The Sound of Music and was strongly affected by its depiction of the Von Trapp family’s narrow escape from the Nazis. In the ensuing years, he thought often about this scene, in which he saw similarities to the Acadian experience (see History of Acadia; The Deportation of the Acadians), which was to become a central theme of his cinematic work. When Comeau was 13, his father gave him an 8-mm movie camera, and he began shooting his first amateur films with his friends. A bit later, he founded two clubs, one for video, another for theatre. Though he longed to become a filmmaker, at the time there was no film program at any university in Canada’s Maritime Provinces, so in 1974 he began studying for a bachelor’s degree in drama at the Université de Moncton, in New Brunswick. In 1974, the National Film Board of Canada (NFB) opened Studio Acadie, a French-language film production centre in Moncton, New Brunswick and invited aspiring Acadian filmmakers to follow the trail blazed by their predecessor, Léonard Forest, in 1953. Phil Comeau had already written his first screenplay and he decided to submit it. As a result, in 1976, when he was scarcely 20 years old, Comeau got to shoot his first professional film—a medium-length fiction piece about Acadian youth, entitled La cabane (released in 1977) under the auspices of the NFB’s Régionalisation/Acadie program. When Comeau left home, he was well aware that his parents hoped he would find a profession that offered him financial security, and that they did not see a career in film or theatre as filling this bill. But after the success of Phil’s second film, Les gossipeuses (another medium-length film produced by the NFB, released in 1978), his father relented: perhaps his son’s passion for movies could open some promising doors for him after all. One thing was certain: whether his vocation offered security or not, Phil Comeau had no intention of giving it up. When the NFB’s French Program threatened to shut down in 1980, the young filmmaker decided to found his own company, Ciné-Baie. A staunch Acadian nationalist, Comeau felt it important to stay close to his roots and to pursue his career in French. In the early 1980s, the Société Nationale de l’Acadie and the government of France awarded him a France-Acadia scholarship to study filmmaking in Paris. There he worked as an intern for documentary filmmaker Jean Rouch and attended seminars taught by the eminent French film director François Truffaut. Comeau also spent time on the sound stages of several veteran directors, including Alain Corneau, Jean Becker, Claude Sautet and José Pinheiro, who became genuine mentors for him. In 1982, Comeau returned to Canada. Because film production in Moncton was still languishing, he decided to try his luck working in Montréal on Québec/Acadia co-productions. During Comeau’s first year in Montréal, contracts were scarce. 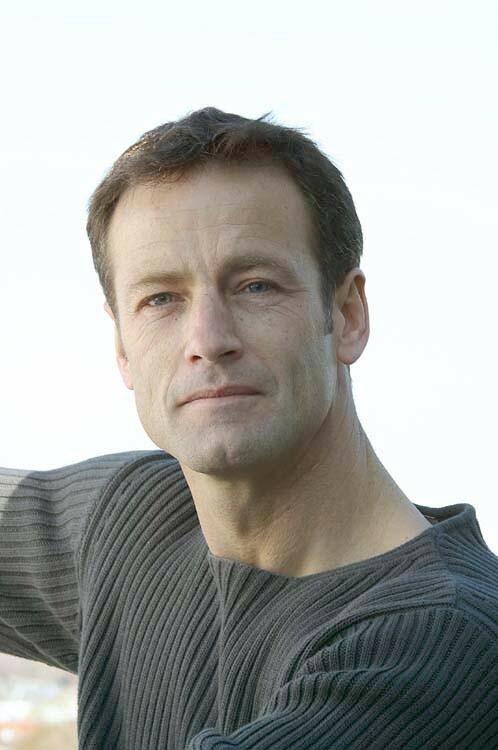 He auditioned for television acting roles and appeared in various series, such as Le temps d’une paix, Entre chien et loup, Paul, Marie et les enfants, Monsieur le ministre and Street Legal, in which he played characters with Acadian accents. He also lent his voice to an Acadian character in the short film Rendezvous Canada, 1606. Watching other directors ply their trade was a formative experience for the young Comeau, from which he learned a great deal. 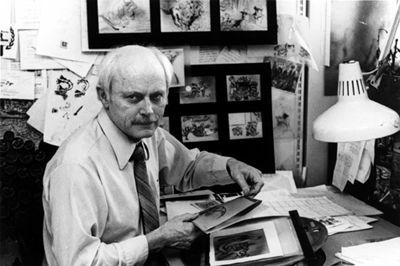 In 1986, Comeau shot his first children’s film, Le tapis de Grand-Pré. In 1994, he filmed Le secret de Jérôme in and around the towns of Caraquet and Grande-Anse, on New Brunswick’s Acadian Peninsula. With its breathtaking scenery, and a cast including Germain Houde, Rémy Girard, Myriam Cyr and Viola Léger (famous for her performance in the one-woman stage show La Sagouine, by Antonine Maillet), this Québec/Nova Scotia/New Brunswickco-production was the first Acadian independent feature film ever made. Based on a true story that occurred in 1863, the film was subsequently screened at the Théâtre de l’UNESCO in Paris. Twenty years later, it was digitally archived by the project Éléphant ‒ mémoire du cinéma Québécois (Elephant – memory of the Québec cinema). Phil Comeau has always liked variety in his projects, be they short films, feature films or documentaries. 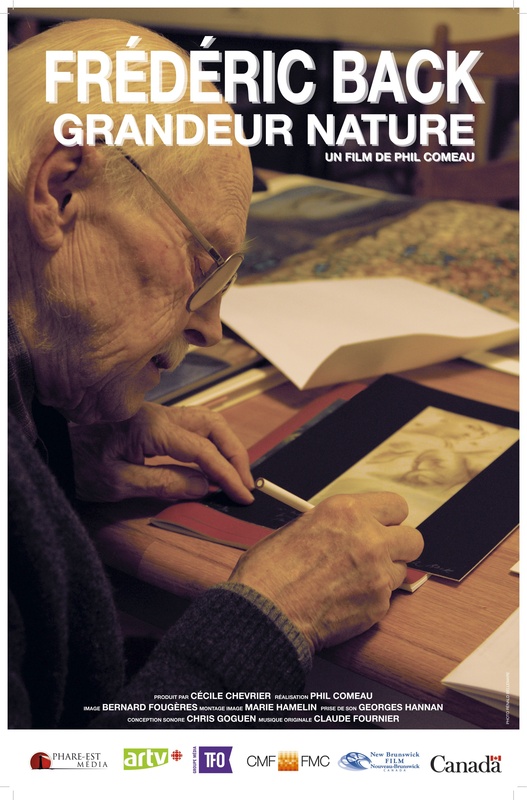 In 2012, he shot the documentary feature Frédéric Back, grandeur nature (The Nature of Frederick Back), about Frédéric Back, an illustrator and environmental activist who inspired him and for whom he had immense respect (see Canadian Film Animation). In 2013, Comeau turned his camera on Ron Turcotte, an Acadian jockey from Drummond, New Brunswick who made his name in 1973 when he won U.S. horse racing’s prestigious Triple Crown atop his famous mount Secretariat. 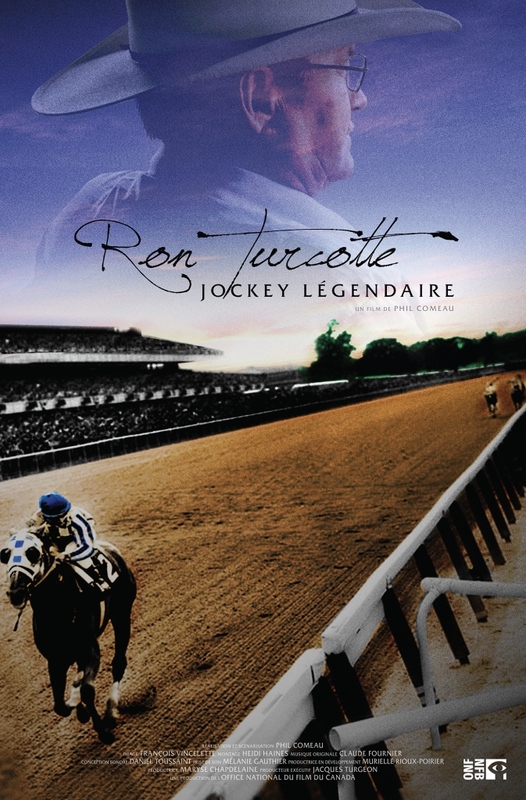 Comeau’s documentary feature Ron Turcotte, jockey légendaire/Secretariat’s Jockey, Ron Turcotte earned him three major awards on the international film festival circuit, including Best Feature Film at the 35th International Sports Film Festival in Palermo, Italy. In 2015, Comeau filmed renowned Acadian singer-songwriter Zachary Richard as he followed the traces of his Richard and Boudreau ancestors through Canada’s three Maritime provinces and Louisiana and asked his Cajun peers how they felt about their Cajun/Acadian identity. 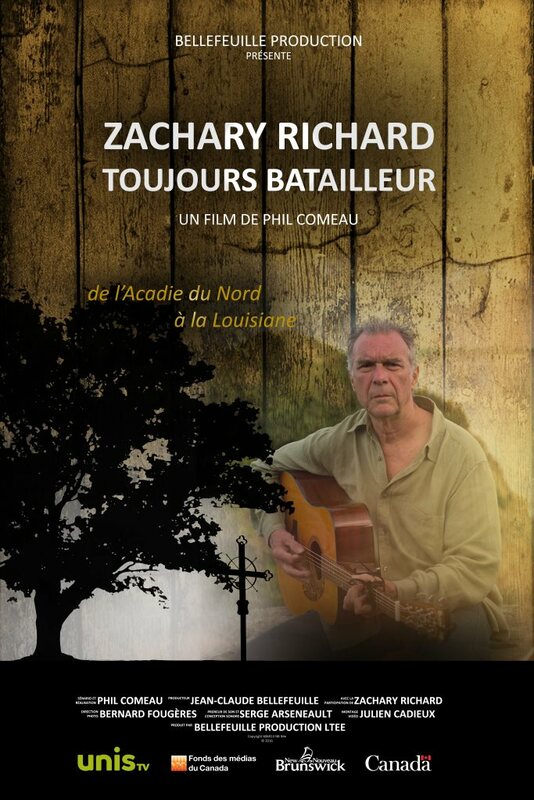 The following year, Comeau released the resulting documentary feature, Zachary Richard, toujours batailleur/Zachary Richard, Cajun Heart, which earned him both the La Vague Léonard-Forest Award for Best Acadian Film and the Audience Choice Award at FICFA, the international francophone film festival in Moncton, New Brunswick. The film was also screened on 25 January 2017 as the opening feature at the Cinema on the Bayou Film Festival in Lafayette, Louisiana, where it won the Director's Choice Award - Documentary Feature. On 16 March 2017, Zachary Richard, Cajun Heart became the first Acadian film to be shown at the United Nations in Geneva. As of 2017, with 40 years of filmmaking and some 100 films to his credit, Phil Comeau would like to shoot more films in Acadia. Film sets and editing rooms are where he loves to spend his time. He sees directing films as a stimulating challenge because, as he stated in an interview with the newspaper Acadie Nouvelle, “You have to start all over again every time.” Comeau will be spending part of his time in 2017 helping to direct a two-part documentary series, Vague d’Acadie, about the impact of Acadian musicians in the French-speaking world. Phil Comeau, Warren A. Perrin and Mary Broussard Perrin, L’Acadie hier et aujourd’hui. L’histoire d’un peuple (2014).